People like poker for several reasons. Poker is a classic card game with a long history where player’s aim is to get the best possible cards and win against other players. Real live poker is a game of luck, but there are other elements that are important as well. First of all, it is the skill of the player, its knowledge and ability to calculate the possibility of various combinations. And last, but not the least, one of the most important elements of the good poker player is ability to bluff and to see other players bluffing. Since poker is among the most popular card games on the world, it is logical that video version and other computer games appeared pretty soon with the development of the new technologies. For all players which are looking for a poker game to play on a device with the iOS 6.0 or later, this game might be just what they are looking for. This game is perfect for everyone who is looking for fun, thrill and excitement. This is a free app and if someone wants to earn real money while playing, they should keep on looking for some other app. Other than that, there are no limits when it comes to this game. All owners of an iPhone, iPad or iPod with the iOS 6.0 or newer with only 22 MB free space in a memory of a device, if they are over 17 and have plenty of free time can download Hot Boddies Poker. The downloading process is very simple and fast. Once it is downloaded, it can be played whenever an owner has some free time, no matter where he is at the moment. 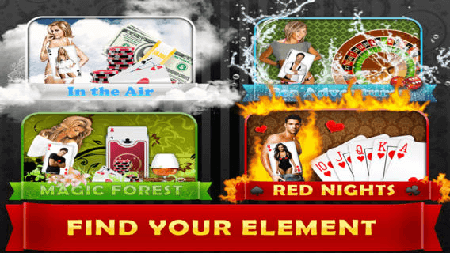 Hot Boddies Poker is completely free to download and there are enough free coins to start playing with. Also, there are plenty of new free coins to get on a daily basis. Besides free coins, there are other rewards player can get. But, in this game player can’t bet, lose or win any real money. A player can only buy coin packages if he wants for a very reasonable price. All players can have a great time thanks to the excellent sounds and graphic, as well as vivid and realistic characters which will bring the atmosphere of the real casino and poker game right to the device. Even for the beginner in a poker, this game is really simple and there will be no problem to learn the rules since they are same as in all poker games. All poker lovers will love this game. It is fun, addicting and a great way to spend some time. Beginners and experienced players will have a good time after they download Hot Boddies Poker to their devices. Of course, everyone must be aware that a successful playing in this game is not a guarantee for a successful playing in the future, with real money or in some free app. Considering those facts, when someone decides to download this app, no doubt there is plenty of fun waiting for them while playing.